This lemon tart was made with left over tart shell dough from another recipe and lemon curd. It’s only 7 inches in diameter and the crust is free formed. Bake, cool, fill and serve. 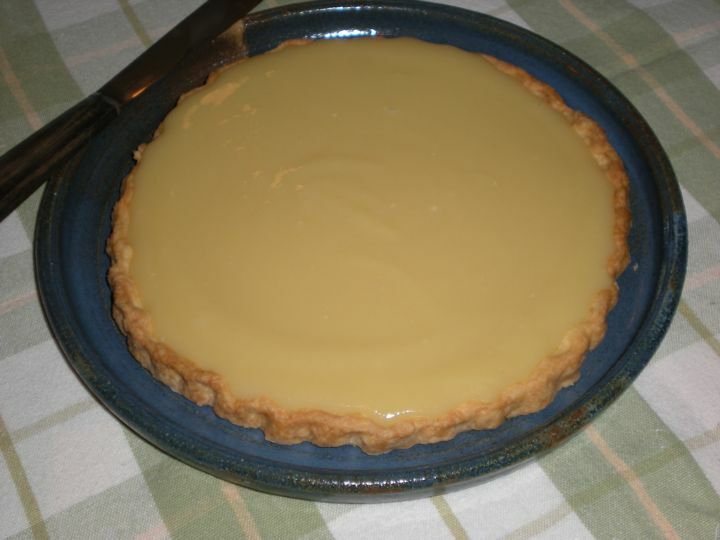 I recommend a double batch of lemon curd for a full size tart. Entry filed under: Desserts, For One or Two. Tags: lemon, lemon curd, tarts.